January 15 was the annual P.F.Chang's Rock and Roll marathon in the Phoenix, Scottsdale and Tempe area. All the streets for the race are closed to cars and even crossing the closed streets is very difficult. Heather's parents' house (where we're staying) was right in the middle of the course. So getting anywhere by car was virtually impossible. Heather and I just happened across a guy who was trying to break the record for a half marathon. He did end up breaking the record by 21 second for a record time of 58 minutes 55 seconds. The rest of the morning we just walked around and looked at all the runners. There were live bands about every 1 1/2 miles along with high school cheer squads or so there was a lot of things to see and hear. Eventual winner. Got a picture of him just by sheer luck. 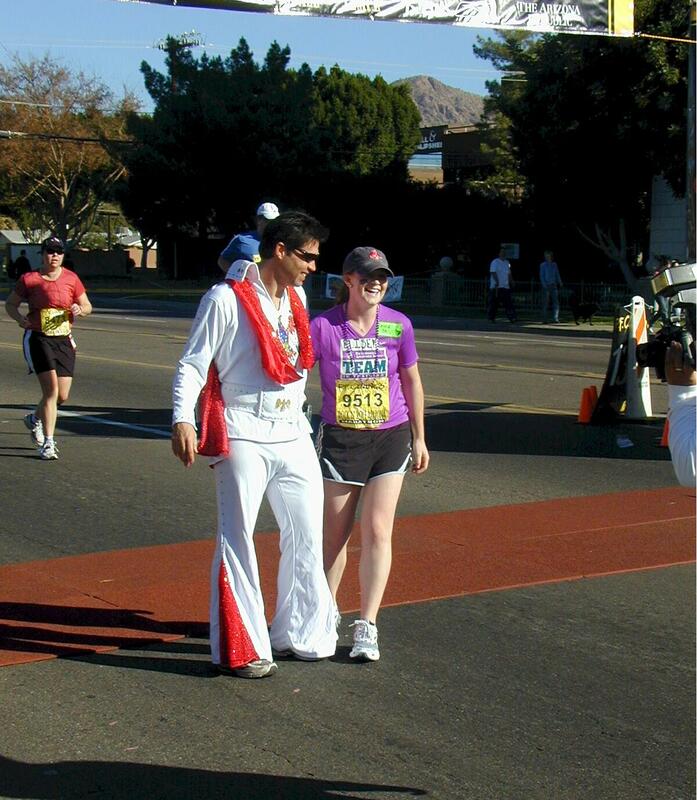 Even Elvis got into the marathon spirit.